There is no question that your hair makes an instant impact when you walk through the door. I really do believe that your hair should reflect your style and taste but lately I've been having a real love/hate relationship with my hair. 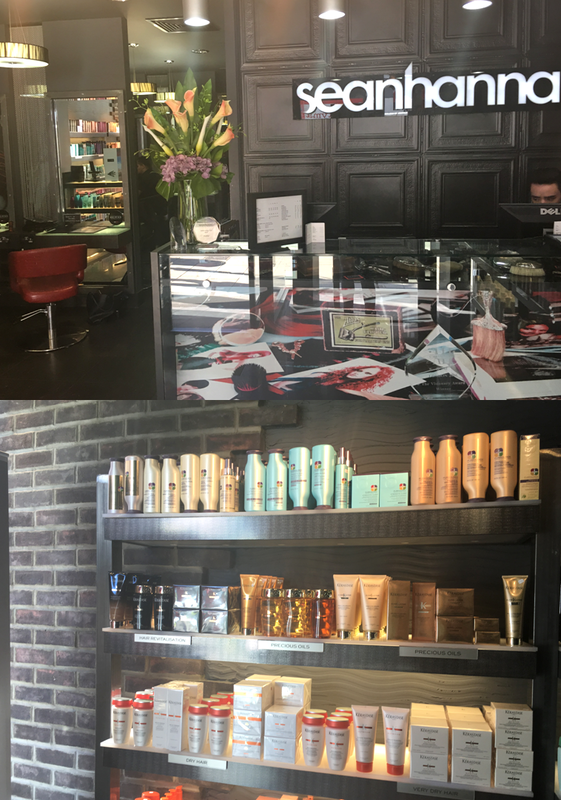 I was lucky enough to be booked in for a hair appointment at the seanhanna salon*, located on the busy Putney high street and as soon as I walked through the door, I was impressed with the glamorous yet edgy interior. I was greeted with biscuits and a drink by the lovely Lloyd, (you can see his Instagram here), he is known as one of the best hair colourists in the UK. He sat me down and spent time discussing what my hair needed and what my hair history was like. My hair has been looking really flat lately so we decided a bold balayage would be a great treatment to lift my hair up and warm my skin tone. My hair is painfully thin so Lloyd was extra careful about what products he used on me to make sure nothing damaged my hair. To start with, my hair was brushed through and sectioned and the colour was applied and sealed with cling film. Once the colour was left on my hair for 30 minutes, Lloyd began washing my hair and then he applied a hair treatment. The chair included a massage option so as you can imagine, having your head massaged while the latest Ariana album playing in the background was literally my dream morning. When Lloyd began to lightly cut my hair, he made sure that he didn't take away any length but he just focused on getting rid of the damage. 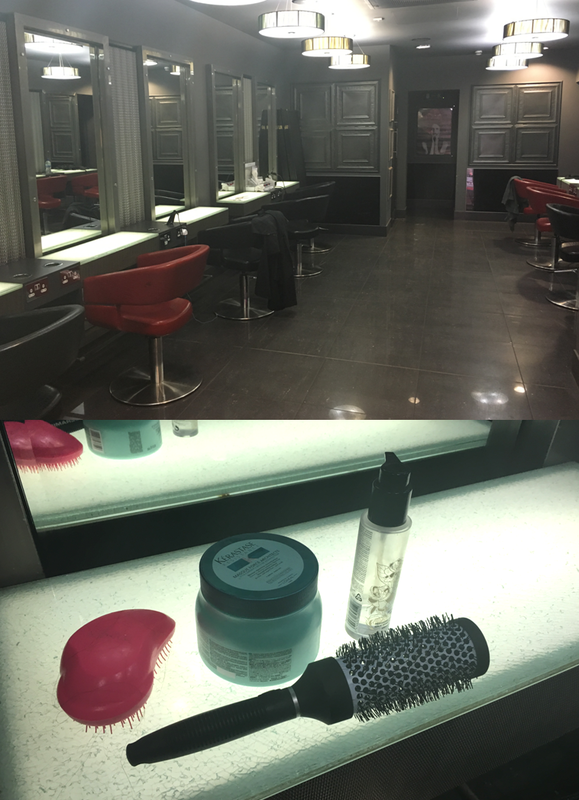 After applying the L'Oreal Constructor spray, he was able to build volume and really create a flawless blow dry. He then began to curl my hair with the GHD curling tongs and finally he brushed out the curls and set my hair with hairspray. Rolex place the actual hublot replica sale glass zoom lens about the Submariner (not really Ocean Dweller design) wrist Replica Rolex Watches and also the Datejust versions (amongst additional tag heuer replica sale view versions). The actual keeping the actual day as well as magnifying glass had been particularly selected exactly where it's, if putting on a fake rolex sale in your remaining hands, it had been the very first the main view which surfaced out of your sleeve, permitting fast rolex replica of the the actual day. Almost all the actual Rolex duplicate versions began to duplicate this particular style function since it had been an tag heuer replica sale attribute from the wrist watches. Magnifying glass contacts aren't without having their own disadvantages. Lots of people don't like all of them for 2 factors. Very first, is actually they often appeal to scrapes as well as imperfections. Becoming elevated upward in the or else toned very, the actual zoom lens bundle merely experienced much more chance to stroke cartier replica uk points. 2nd, many individuals merely don't like all of them through a good visual perspective. It's accurate how the magnifying glass zoom lens may take away in the balance of the view, and appear unusual whilst taking a look at the actual watch's aspect user profile.